Business and teaching have been Keith’s passion from the very early days. The business side got an early start … In 1961 he started a door-to-door egg delivery business when he was eleven years old. His egg business is what laid the foundation for him to be able to pay his way through college. He graduated to other money making ideas, including the more typical childhood endeavors of a paper route, mowing yards and baby sitting. Through it all, his Dad had him keep a ledger which recorded all his sales and expenses and profits. He also insisted that Keith invest some of his profits. Keith worked his way through the University of Texas and earned two degrees … a BBA in Accounting and an MBA. As he was leaving the University of Texas to look for his first full time job, he had only one requirement, which was to learn as much as he could as quickly as possible about the real world of business and finance. He needed skills and distinctions that only come with a mentor. After interviewing and receiving job offers from several multinational companies, Cunningham happened on two extremely successful business men in Austin, Texas. Bob and Jack had a small struggling Cable Television company and needed some help turning around and growing this business. They promised to teach him everything they knew. There was a catch… they could only afford to pay about 40% of the going rate for newly minted MBA’s, which in 1973 was $22-24,000/year. After a couple of sleepless nights and lots of soul searching Keith took a job at $9,000 per year and it turned out to be one of the best decisions he had ever made. Having these two experienced men guide and mentor him laid the foundation for the business success he has had and the teaching he does today. He discovered there is no substitute for real world, in the trenches, been there, done that kind of experience and training. After a couple of years Keith became a partner with Bob and Jack. They sold the original Cable T.V. business and started another one, which they named Prime Cable. Prime ultimately became one of the largest cable television companies in the United States with operations in Atlanta, Las Vegas, Houston, Chicago and Anchorage. By 1983, Keith had been with Bob and Jack for over 10 years. He had made a serious amount of money and he wanted to do his own deals. At the same time, real estate in Texas was cranking up and he decided to shift his focus from cable television to real estate. Over the next 3 years, he built a very large real estate portfolio and made even more money. In the process, he also personally guaranteed over $100,000,000 in debt. 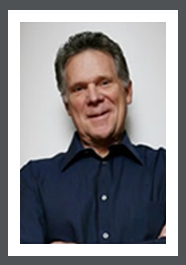 Today, Keith Cunningham regularly teaches at Tony Robbins events, T. Harv Eker seminars and has shared the stage with industry giants, like Brian Tracy and Robert Kiyosaki. Annually, he presents in front of thousands of people. He has never wanted to start a “seminar” company, but he does want to teach.